I had been looking forward to Alita: Battle Angel for several years. I remember an article from 13 years ago where James Cameron discussed his two epic sci-fi trilogies that he was planning as his comeback to narrative filmmaking, having spent the better part of a decade developing moviemaking technology (which had first been used in Brendan Fraser’s Journey to the Center of the Earth) and several deep-sea expeditions. Yet when Alita’s release date was finally announced – initially for July 2018 and then moved to February 2019 – I had no idea it would the final Fox film, or at least Fox as it had been known for over 80 years. When Darryl Zanuck, Joseph M. Schenck, and, of course, Edward Fox founded the studio in 1935, they had no idea they were laying the foundation for some of most seminal science fiction epics of the 20th and 21st century. This pattern began with the Planet of the Apes franchise and was kicked into a whole new, well, galaxy with the original Star Wars, a movie that, ironically, seemed more in line with the kinds of films Disney usually releases. Unfortunately, like every other studio in town, they rejected Lucas’s “galactic fairy tale.” However, thanks to Alan Ladd Jr.’s faith in the ambitious Lucas, the film industry changed, and with it, a genre rose from a joke to a respected part of the cinema landscape. Ladd continued to take big risks when he founded the Ladd Company and co-produced Blade Runner with Warner Bros. While that film was arguably just as creatively ambitious as Star Wars, it did not do the business the former did. While Ladd was no longer with the Fox Studios, that didn’t mean his former workplace didn’t continue pushing the sci-fi envelope without him. Beginning two years after the iconic Jedi opus, Fox capitalized on the success they had engendered and released the first installment in the popular Alien franchise. It was through Alien and its follow-ups that they would change the perception of not only what the sci-fi genre could do, but also of sequels and what they could be, with James Cameron’s Aliens. While Ridley Scott’s original took on more of a horror angle, Cameron mixed the sci-fi and horror genres with action, thus setting the standard for what we expect from sci-fi action movies. These films threw away the idea that adult sci-fi stories had to be laborious and meandering, something that had been driven home when Paramount released the classic Star Trek: The Motion Picture, directed by the legendary Robert Wise. While many old-school Trek fans appreciate the movie, it’s hard argue that Star Trek: The Motion Picture is a product of its time, a time that had not yet caught up with the new frontier – no pun intended – that Star Wars and, subsequently, the Alien series would pioneer (something that its first sequel, Star Trek II: The Wrath of Khan, accomplished more successfully in 1982). With these successes under their belt, Fox continued to give their sci-fi releases a particular flavor, one you could argue the likes of Universal and Paramount tried to emulate with Vin Diesel’s Riddick series and Event Horizon, respectively. Despite all of Fox’s success, I suppose it would be hard to argue that they haven’t had a few missteps. Among those are the later Alien films (particularly some crossovers with the Predator franchise) and Titan A.E., a movie which was initially planned to be live-action, only to be given to the animation department late in the game. Not even animation legend Don Bluth could fix it. Still, Fox kept pushing forward, and in June of 2000, just as their sister studio released the animated flop, they unleashed the first installment of the X-Men franchise, a series that I’ve gone on about at length. Although there were a few stinkers in that series, the studio did a great job for the most part, giving daring takes on the sci-fi genre with films like the 60s-set X-Men: First Class. They even got back in business with James Cameron for his technological epic sci-fi film Avatar. You would think having two sci-fi juggernauts (no pun intended) would be enough, but Fox – with the help of producer Peter Chernin and Director Ridley Scott – went back to the Planet of the Apes and Alien franchises, respectively, and, in doing so, showing how prequels ought to be done. 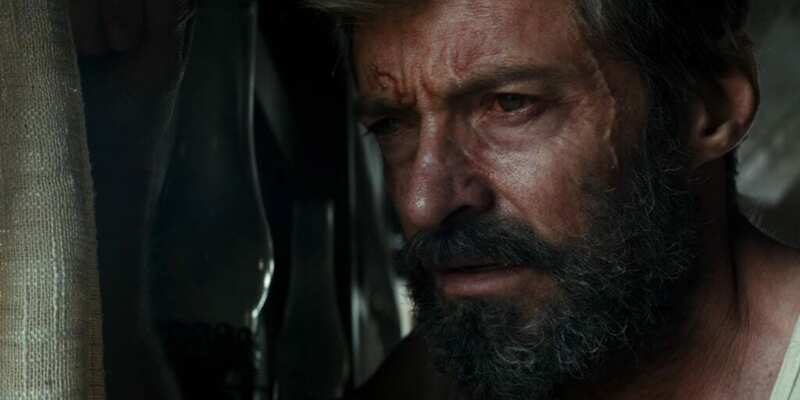 While they were unable to maintain momentum with the two series both petering out after just a couple of films, they were able to go in a new direction with X-Men, giving us movies like Deadpool and, of course, Hugh Jackman’s Wolverine swan song Logan. I was really glad both Jackman and original Professor Xavier Patrick Stewart were able to go out on their own terms because just nine months after release, the Disney-Fox deal was announced. I was unhappy with the idea of Disney acquiring Fox from the start, as I did not believe Disney would take risks with the treasure trove of ambition and creativity Fox possessed; the kind of ambition and creativity Alita has shown. In a way, it is poetic that the Fox I’ve known my whole life is going out with a film produced by one of their greatest creative partners. Like many Fox sci-fi movies before it, Alita was unafraid to tell a science fiction story that went against the grain and challenged its audience to think bigger about the genre. I want to believe Disney will do right by properties like Alita, Avatar, and Alien, but I can’t help being a little worried for those franchises’ futures, especially considering the Fox 2000 shuttering Disney enacted just a day after the merger was officially complete. Despite my misgivings, with the Fox name being retained for a few film releases a year going forward, I can only hope that the label will continue the legacy that began decades ago by continuing to bring us unbridled passion and creativity within the sci-fi genre.